We’re still in the heart of citrus season, and there are many delicious options to choose from. Speak with your co-op’s produce staff to learn which citrus is best at the moment and don’t hesitate to ask for a sample! Make the most of citrus season with the two fruit salad variations below – the simple citrus salad is perfect any time of day, while the elevated salad serves well as an impressive side dish for supper. Using a small sharp or serrated knife, cut a slice off the top and bottom of the fruit through to the flesh. Working from top to bottom, following the curve of the fruit, cut away a strip of skin and the white pith beneath it; continue this around the entire fruit. Hold the fruit firmly in your hand over a bowl, noticing the white edges of the membranes separating the citrus sections. Slide your knife down one side of a segment, as close to the membrane as you can, cutting it from the skin, then do the same thing on the opposite side of the section, meeting at the bottom. Pull, or slide out, the section into a bowl and repeat these steps with the other citrus segments. Following the instructions for peeling and segmenting citrus above, do so with 2 oranges and 2 grapefruit, reserving the membranes of the fruit. Squeeze the membranes with their juice over the segmented fruit in your bowl. Gently stir in 1 tablespoon of fine sugar or honey and 1-2 tablespoons of finely chopped fresh mint. Voila! To make the vinaigrette, add 1 teaspoon zest and the juice of 1 orange, 2 teaspoons balsamic vinegar (or white wine vinegar), 1 teaspoon of honey, a good pinch of sea salt and black pepper, 4 tablespoons of extra virgin olive oil, and 1 minced small shallot (optional) to a small bowl or jam jar and mix or shake to combine. Taste for seasoning and set aside. To make the salad, follow the instructions for peeling and segmenting citrus above and do so with 2 oranges and 2 grapefruit; drink the squeezed juice from the reserved membranes and place citrus in a large bowl. Slice 1 avocado into the bowl with citrus segments and add 1-2 tablespoons of finely chopped fresh mint. At this point, include other additions if you like, such as green grapes, sliced fennel (plus fronds), and beet and/or carrot matchsticks. 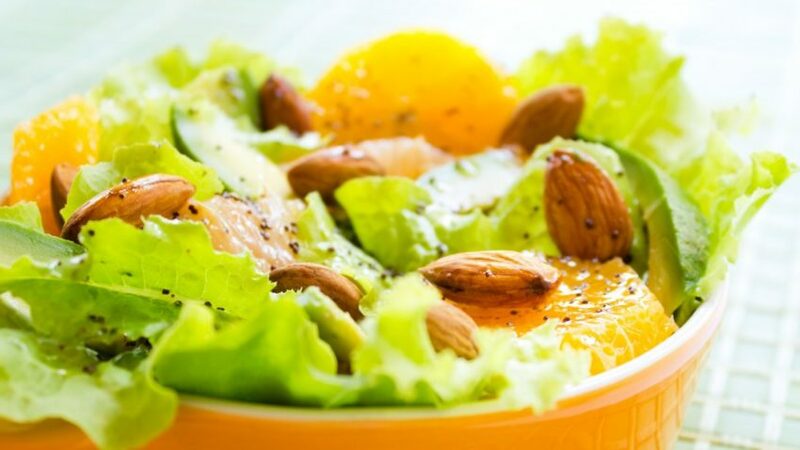 Drizzle orange vinaigrette on top and toss to coat salad. One unexpected, but fitting, addition to this salad is smoked salmon, which makes for a more interesting and substantial salad. This salad can also be served on crunchy lettuce greens or arugula.